That's where it all started... A privy, long drop, out-house, john, washroom (to our northern friends). 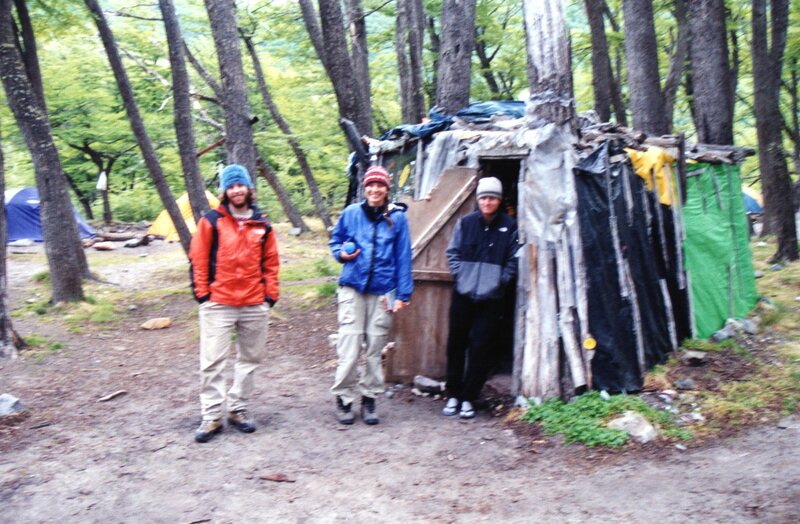 We were standing outside one in Torres Del Paine National Parques, taking turns using the rustic facilities, when the topic of what we were going to do for the rest of our lives came up. Dave and Ildi, our friends from the early days in Breckenridge, Colorado, Polly and I had all met in southern Chile to hike and backpack in one of the most scenic corners of the world, the Patagonian Andes. The weather was cold and windy, (like literally blow you over windy, not fake weather channel weathermen stuff) the glaciers massive, and the photography opportunities aplenty. Polly and I were living on Maui working as hiking guides for a small adventure company. Dave and Ildi were working seasonally in Antarctica-we happened to coordinate this rendezvous point according to their travel route back to the States. We had many things in common (including all sharing at one time a double-wide with a total of six people and a dog). The most relevant coincidence was that we were all looking for a change in our lives. We had just caught word of a small town in central Idaho that happened to have a new ski resort opening nearby. The opportunities were limitless and this insight seemed to line up perfectly with our desire to exit the "beach life" and return to the "mountain life." Polly and Dave's friendship dated back to high school. They both gained valuable experience working for the world leader in the ski resort photography industry in their early twenties in Summit County, Colorado. This, paired with the knowledge and experience we had gained working for the adventure company on Maui, gave us the confidence to conclude that the four of us could start our own portrait and action photography company at the aforementioned shiny new ski resort. We returned to our tents after agreeing to pursue this opportunity "con mucho esfuerzo!" There is something about owning your own business, especially one on a roller coaster course. The successes are extremely rewarding- the elation of securing our first contract with our original business partner was real, and the responsibility, at times, is crushing. Gone were the carefree days of surfing and hiking on Maui. Gone were the days of skiing/mountain biking, hot-tubbing and socializing all day and night in Colorado. The days of never going an hour or two without thinking of our business had arrived. The days of being our own bosses, setting our own schedules (sort-of) and having our creativity be unbridled were here. Five years later, following the rise of Mountain Life Photography, the crash of the earlier mentioned shiny new ski resort, and the near dissolution of Mountain Life Photography, Polly and I landed in Whitefish, Montana. It was 2009. The housing market had just crashed, the economy was in the biggest recession since the Great Depression, and we had just bought out our business partners who promptly returned to their migratory lifestyle on and off the "ice." The toil of 5 solid years of investing all of our energy into building our company only to have the rug pulled out from underneath of us was draining, but what were our options, what were we going to do? Go back to working for someone else? Give up on the life we had learned to love and ignore the passion we had for photography and for our own company? The choice was scary but clear. It was time for a new start. We planned on learning from our first experiences. We had landed in "The Last Best Place," a location that offered beautiful backdrops in every direction and endless recreation. We had paired with the successful and growing Whitefish Mountain Resort which was both great to work with and supportive of our partnership. 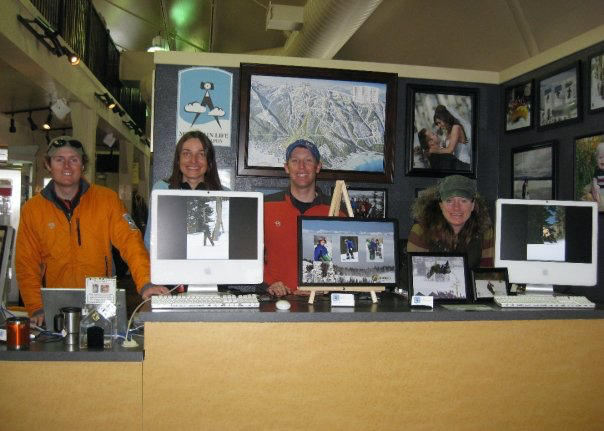 We hired our first employee in the history of Mountain Life Photography and hit the ground running. The sky was the limit and we were rejuvenated by both new opportunity and the stunning beauty that stood before us. This is us after our first summer at Whitefish Mountain Resort- all smiles after an amazing first summer! This is "Our Mountain Life"
Kathy - We love that you work hard and play hard and have a wonderful life!